If you use UBER or LYFT to pick up and deliver your minor children, then you should know it is a violation of company policy for both of these corporations. Realistically, you should also know that these companies do very little to enforce this policy. To most drivers, a ride is a ride whether it is a child or an adult. UBER and LYFT always say to right thing. But the proof is in their actions. Consider UBER’s firearm policy. No guns for anyone at any time. Sounds great – but no real effort put into actual enforcement. Same thing for UBER’s discrimination policy. No one is allowed to discriminate – ever. Sounds wonderful, but is UBER doing anything proactively? No, they are not. Therefore, there is no reason to assume that UBER or LYFT is going to actively prevent drivers from picking up riders under the age of majority. If something goes wrong, UBER or LYFT will simply point to their policy and claim innocence – just like they do with guns and discrimination. Investigative reporters and people in the industry question the sincerity of UBER’s under 18 rule and its enforcement. UBER and LYFT drivers are not required to check ID’s. These drivers on the street are struggling to make a living. There is a lot of competition for passengers too. Most UBER drivers are fighting hard to compete for fares. They try to position themselves in areas where there is a demand at times when that demand will be high. For example, a typical UBER driver might get on the street by 4 am to catch the early airport travelers. Then work through to 10 am to catch the go to work crowd. Then go off the clock until 4 pm when kids need rides after school. The driver would stay on the clock until 8 pm to capture the leaving work crowd. It is a grind for drivers and they are generally unlikely to decline any ride – especially with no enforcement by UBER or LYFT. Make no mistake – it always been and always will be about the money for UBER and LYFT. Words are easy and cheap. But actions have consequences. Our Miami UBER accident lawyers at the Wolfson Law Firm represent passengers and drivers who were seriously injured in UBER or LYFT car accidents in Florida. 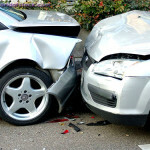 Our attorneys are concerned with issues of insurance coverage. Will coverage be denied if the passenger is a minor in violation of policy? Those same questions could arise regarding other policies. If an insurance coverage issue develops from a policy violation, then UBER and LYFT’s actual enforcement of those policies would become quite relevant. If these companies do not actually enforce the policies except after the fact when it is convenient, then a jury could conclude that the alleged policy violation was not material and therefore coverage should exist. Our Florida UBER car accident attorneys are keeping a close watch on these issues. If you or your family were injured in an UBER or LYFT car accident anywhere in Florida, the UBER accident lawyers and LYFT car accident attorneys at the Wolfson Law Firm are here to help you. You never owe a fee unless they make a recovery for you. All consultations are free and confidential. We have offices in Miami, Fort Lauderdale and West Palm Beach for free appointments. Call (305) 285-1115 and get the answers that you need so that you can get the justice that you deserve.